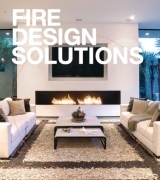 Elegantly designed and robustly constructed, the rectangular-shaped Firebox 900SS uses less space than a traditional fireplace, allowing interior designers, builders and homeowners greater placement options and design flexibility. Free from traditional installation restrictions such as plumbing, roof work, gas or electricity connections make it the perfect heating solution for high-rise or basement installations. 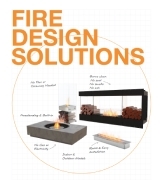 The Firebox 900SS is a manufacturer approved surround for the UL Listed BK5, BK2UL burners. 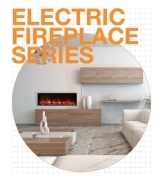 EcoSmart ethanol fireboxes are free from traditional installation restrictions such as plumbing, roof work, and gas or electricity connections. EcoSmart’s dancing flame creates a striking focal point for commercial spaces that have minimal windows or natural light. Instantly transform an existing, closed-off fireplace by sliding the fuel efficient Firebox 900SS straight into the wall cavity. Flue-less construction means heat and energy is not wasted up and out the chimney. 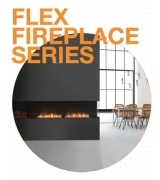 The Firebox 900SS uses less space than a traditional fireplace, allowing greater placement options for small rooms. Facilitates multiple installation options including front or back fitting, with or without an exposed flange.